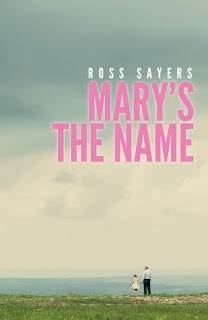 Today I welcome to Getting To Know... the wonderful Ross Sayers, debut author of Mary's The Name which was published on the 30th of January 2017. Mary's The Name is a particularly emotional contemporary read, what was it that draws you to this genre? I didn't really set out to write in any sort of genre, to be honest. I knew I wanted to tell a story about a wee girl and her granpa and see where it took me! When I first finished the book, I was telling early readers how much humour I'd put in and how they'd be chuckling away at what Mary has to say. I didn't expect so many to tell me they were in tears at the end! This reaction has been very touching though, as it shows how much readers have connected with Mary. It's a huge compliment when readers engage this much with your characters. When you're writing do you have a set routine or schedule that you like to follow? For 'Mary's the Name', I was fortunate enough to be able to focus all my time on it. A 9-5 type thing. I used it as my dissertation for my Masters, so I had all summer to write it. I doubt I'll have this luxury again, so now I just write where I can find time. I do like to have the radio on when I write though, Radio X being my station of choice. It may sound obvious, but Mary, definitely. She's such a kind character, and I loved seeing things through her eyes. I still do it! I see a news story and I think, Mary would have something funny to say about that. It's always been a dream of mine. I even wrote it in my Primary school yearbook. I didn't pursue it through high school and most of Uni, but when I took creative writing modules, my passion for it came back. It still feels strange when someone refers to me as an author though. Well, as a writer, my top answer has to be reading of course! But I also like to go to the gym, play poker with friends, or watch my team Arsenal play (this isn't always enjoyable...). I'm a huge music fan too, and my musical hero is Brian Fallon, who I was lucky enough to see twice last year. Your short story "Dancin" is used as part of the West College of Scotland's Higher English course, can you tell us how this came about and how you felt about that? It's a funny story. A girl contacted me through Twitter and asked for the story. When I asked why, she said she needed it to finish her essay and it couldn't wait! Huge surprise for me. I contacted the teacher of the class and she told me she read it in the magazine Quotidian (great magazine, look it up!) and thought it would fit well with her class. Since then, it's continued to be used, and the teacher, Mrs Fiona Wallace, always lets me know when the new batch read (and hopefully enjoy) it! Having written both short stories and a novel, do you have a preference over which you write? Both have their advantages, but I really enjoyed getting immersed in the long narrative of 'Mary's the Name'. It's a lot of work, but when readers respond to the story and the characters, it makes all the months of writing worth it. I'm looking forward to getting back into this process. As part of your promotion for Mary's The Name, you used Tinder (I had to google what this was!) You wrote a great post about it, but what can we now look forward to when you're promoting future works? I don't think I could pick just one. In terms of Scottish authors, I admire James Kelman and Ali Smith. Outside of Scotland, Patrick deWitt is my new favourite! I know Mary's The Name is only just being published, but what can we look forward to from you next? I'm currently putting together the plot of novel number two. I don't want to say too much, but I'm hoping to set in my hometown of Stirling. A couple of schoolboys may feature, getting mixed up in something dodgy when they should be at school! Thank you so much to Ross for joining me today and look forward to a review of Mary's The Name coming up on Life Of A Nerdish Mum soon! Re-tellings are really popular at the minute and I'm enjoying quite a few of them. When I was given the opportunity to review The Wolf Of Dorian Gray I jumped at the chance as the idea intrigued me. "There on my desk is the first passionate love-letter which I have ever composed in my life—and it is addressed to a dead girl." "The wolf had begun hunting human prey. 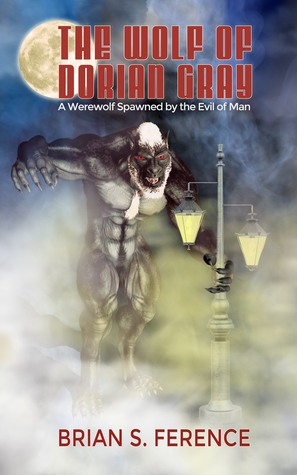 They were plentiful in the dark city streets and provided enough good meat to satiate his gnawing hunger. He was still very careful not to let any who saw him live. To do otherwise would displease the Master. He would only stalk those people that were foolish enough to walk alone in the night." It's been years since I read The Picture Of Dorian Gray but I do remember the basic story and The Wolf Of Dorian Gray seems to follow the original with some gender bending of characters and the obvious introduction of the Werewolf. I wasn't sure what to expect when I picked this up and I thought it would either be really good or really bad. I was pleased that it turned out to be the former. The original story is great anyway but the new scenes and changes have been done very sympathetically and so you the two authors work fits together seamlessly. I really enjoyed the character of Dorian Gray and I enjoyed watching his descent into depravity and perversity culminating in one particularly horrendous crime. It was fascinating the corresponding effect his crimes and behaviour had on the wolf and the painting. I thought it was really well thought out how the wolf became more of a wolf/monster/human hybrid as time went out, it was actually quite terrifying how it was described and the attacks it was committing with an incredible intelligence. The story shows how meeting just one person can change the course of your destiny for good or in this case for the bad. I would have liked to have seen more of both Sage and Lady Helena as they are both interesting characters in their own right and in extremely different ways. I really enjoyed that they were changed from the original male characters into female as I thought their friendships with Dorian took on another dimension. The only thing that didn't sit right with me is probably a problem with me rather than the writing, but I didn't like the use of measurements when describing things. Instead of saying someone was six foot tall, the height would be given in centimetres etc and I found it awkward to read. The Wolf Of Dorian Gray can be read as a stand alone, but the author has left an epilogue which totally whets your appetite for the second book which I believe might be out later this year. Overall a really enjoyable read and I am looking forward to re-reading the original at some point in the near future. BRIAN S. FERENCE lives in Cave Creek, Arizona with his wife Rachel and two children Nathan and Lena. He has always had a passion for reading and writing from a young age. 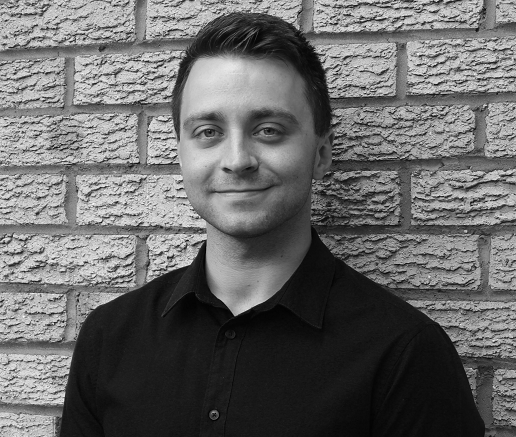 Brian loves new experiences, which has included operating his own company, travelling the world, working as a project manager, diving with sharks, and anything creative or fun. He is always up for a new adventure such as writing or other artistic pursuits. Today on Getting To Know... I welcome the very talented and very lovely Carol Cooper, author of Hampstead Fever and One Night at the Jacaranda. 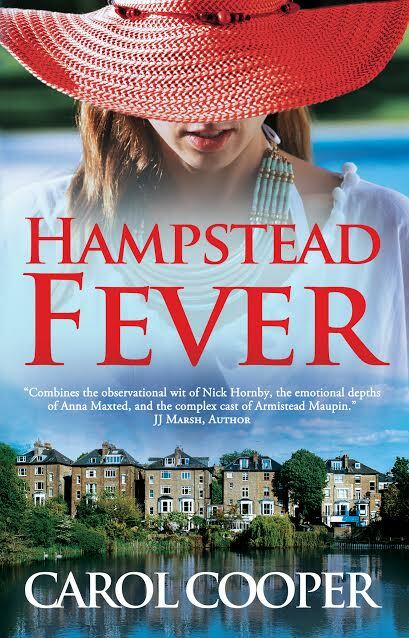 Your most recent novel, Hampstead Fever, follows the lives of six Londoners that are all intertwined. What was the inspiration behind this story? The novel came out of the characters I had made up, who are six very different people, all of them approaching 40. I love hot summers, but I’m aware that emotions can reach boiling point, so I thought I’d write about how a heatwave affects their lives, and makes them do things they shouldn’t. The action takes place in Hampstead, where I live. While it’s an upmarket and very picturesque part of London, the area means subtly different things to each of the people in the book. The novels you write are contemporary, what is it that draws you to this genre? 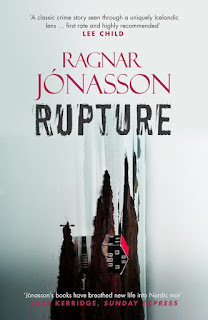 I think it is the perfect genre for creating a world that readers can relate to. I write with an eye on the everyday, which includes modern dilemmas like being a single parent and a working mum, coping with ailing relatives, today’s competitive job market, the role of the media, and the challenges facing Britain’s health service. Having said that, the aim of the book is to entertain, not to contemplate solutions to these problems. Sadly not. Although I’m driven to write, many things crop up needing instant attention. For example, I write expert comments for The Sun newspaper. It’s a great forum for any writer, and I love the chance of saying my piece on the health story of the day, whether it’s a radiation spill or a celeb’s liposuction. The downside is that it’s often at short notice. I like almost all my characters, and I have an affinity for Karen, a single mum of four, as well as for Geoff, a stressed doctor, but my softest spot is reserved for Dan. He’s out of jail following wrongful imprisonment, and determined to go up in the world. Neither educated nor articulate, he tries hard to make up for it by reading widely and working hard. He’s now got a job in the kitchen of a trendy new Hampstead eatery, and he’s living with the woman of his dreams and their baby, but it’s not all plain sailing. I got remarried three years ago, so you’ll find me spending time with my husband. And, like every writer, I also love reading. You are also a doctor and have written health books, firstly how on earth do you find the time and secondly what made you decide to make the jump to writing fiction? Well, here’s my secret: I now do everything part-time. It would be impossible otherwise. As for what triggered the jump to fiction-writing, I think the desire has always been there. I first tried to write a novel when I was at university, but that didn’t get very far because I knew nothing about the world at the time, except maybe how to pass exams. I do love health journalism, as well as writing non-fiction books, but with novels there’s a chance, with luck, to create something that’s lasting. We’re still reading good books published 20, 50, and even over 100 years ago, while non-fiction books are more ephemeral. Having taken a look at your non-fiction books, you have written a lot about pregnancy, birth and the early years. What made you decide to specialise in this area? As a family doctor, I’ve looked after a lot of pregnant women and their babies, so this is an area I know about from the professional viewpoint. Then I had three children in under three years (my second pregnancy was twins), so I figured I’d mastered Parenting 101 and could add my experience to my medical expertise, creating useful and realistic guides on child health and the like. Of course, nobody ever has parenting taped. You go on learning new things about family relationships until you drop off your perch. That would be Kate Atkinson, though I also love Tony Parsons, Maggie O’Farrell, and the ever-witty Howard Jacobson. If you could give the younger you any advice about your writing journey, what would it be? Be yourself. As the saying goes, everyone else is taken already. It takes time to evolve your own voice as an author, so the best thing is just to keep writing and make it as good as it can be. I’d also tell myself that, unlike climbing a mountain, with novel-writing there’s no such thing as arriving. Each book is as good as I can make it at the time, but the whole writing game is a process of learning and discovery. If it weren’t, it might become very dull. I’m working on another novel that takes some of the characters from Hampstead Fever into new adventures. There’s also going to be a novel mostly set in Egypt. I grew up in Alexandria, a cosmopolitan world that remains fresh in my mind. Thank you so much to Carol For taking the time to answer my questions, it's been a pleasure! Available in bookstores and online from Amazon and other retailers. Carol Cooper is a doctor, journalist and novelist. 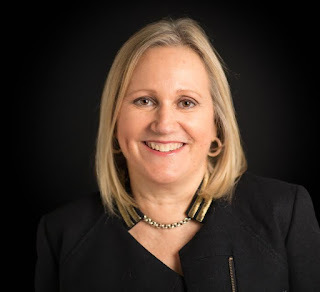 She writes for The Sun newspaper, broadcasts on TV and radio, and has a string of non-fiction books to her name including an award-winning textbook of medicine. In 2013 she turned to contemporary fiction with her debut novel One Night at the Jacaranda. Her latest title is Hampstead Fever. Your website, TripFiction, is designed so that you can find books set in pretty much whichever location in the world you can think of. What inspired you to set this up? A good question! I have always tended to choose books that are set in the country to which I am travelling. It was never really a conscious thing until I went to Bangkok, where I happened by chance to choose a novel set in the city. Contrasting the book and the city made for an amazing experience. Then on to Vienna and the only book I could actually find, which was set there, was The Fig Eater by Jody Shields. That was an excellent choice, very atmospheric of the city at the turn of the 20th Century, it gave a feel of past history and I found it still resonated today, lending insight and understanding into the multitude of historical buildings around the city, as well as the city layout. On my return, I did a little research and found that actually there are many books set there but it was hit and miss whether they were easy to find. And bingo, one day a few weeks later, over a glass of wine naturally (and it was Austrian wine we had brought back!) TripFiction started to become a reality. We were aiming for a site where books could be collated, reviewed, and all were strong on location, we wanted to build a resource for both actual and armchair travellers. It was spurred on by a vision of a community where like-minded people could come together to share books, indeed add books and reviews, and suggest some of the ace titles that perhaps aren’t so widely known that will transport you to a given place – via a good storyline, of course. Have you always been a big reader or is it something that has come about as you became an adult? I have always read. We were a household of books. My best friend’s mother was a writer – Kamala Markandaya - who firmly set her novels in her own culture and country of India, and perhaps it was through reading her novels that my subconscious interest in learning about cultures, people, customs and places first started. When you're not reading, what would we find you doing? The admin side of TripFiction is growing apace, so that takes up a lot of time. We often burn the midnight oil. 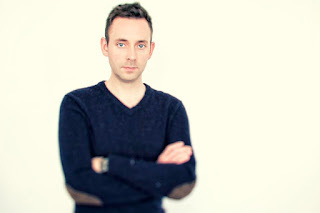 Mastering Social Media is proving to be a real challenge, though a rewarding one – for the most part! Researching new books to add takes time but people are now adding books to the site (anyone is welcome to suggest titles and add reviews)… and so it goes on. But otherwise I work as a couple counselor and psychosexual therapist. And travel is a great joy in my life, which probably doesn’t come as a surprise! Do you have a favourite place that you have visited? That is a very hard question. I guess I am drawn to Asia, I like the culture and cuisine. Southern India is next on the list, because we had such a great trip last year to Rajasthan. I really enjoy travelling to Europe, which is so much more accessible thanks to carriers like EasyJet. My next European trip will be to Berlin and Warsaw and I would also like to see Dresden. This year TripFiction has started it's own YouTube channel, have you enjoyed using a different medium to discuss location in books? It is a service we like to offer to authors. If an author has a video where s/he talks about the setting of their book, then we love for people to add their videos. I have stuck my toe in the water, but it is going to take a lot more practice and courage! Bookmark, random piece of paper or dog ear? I am a neat reader, without a doubt. I am definitely a bookmark kind of person, always. I can’t bear to see tattered books, all crinkly with water damage. I trained as a paper conservator way back, so I feel drawn to paper and its preservation. I can find myself recoiling when I see cracked spines, dog-eared pages and water-damaged covers…. How many books do you read in a year? Do you set yourself an annual goal? I never set a goal. That would turn something that is a pleasure into a chore. At the moment we can combine work and pleasure, how often do you hear people say that?. When I see all the reading challenges on sites like Good Reads I really do wonder why people do it, there is more than enough pressure in everyday life without adding to it! I have come to realize that I am still quite a slow reader. I enjoy seeing how an author puts a book together, so I don’t like to skim read too often. But there is a time and place for a bit of super fast reading and I can do it when I have to… but it’s not my natural style. Do you have any advice about location for anyone writing a novel? I can only speak from the perspective of a reader and someone who enjoys experiencing a location through literature. I recently read a book set in Dubai, which I thought evoked the city quite well. I passed it to a friend who lives there, who spotted the inaccuracies and found that quite frustrating. I always find this a difficult question. I tend to have a rolling list of authors and will often add new ones to the list and re-connect with past favourites. I have recently picked up with the work of Rose Tremain, through her most recent novel “The Gustav Sonata” (shortlisted for the Costa Book Awards, one of my favourite reads of 2016). I got back into reading Lesley Downer, who, writes books set in Japan, and I took one of her earlier works on a trip to Japan several years ago (way before TripFiction) – her current book The Shogun’s Queen reignited my pleasure. Gill Paul is always an interesting writer and has used Rome, Turkey and most recently Russia as settings for her novels. I am very much looking forward to reading Dinah Jefferies new book Before the Rains, set in Rajasthan and it will no doubt transport me back to the trip we made there last year. On the TBR pile I am particularly looking forward to trying Guinevere Glasfurd’s The Words in my Hand set in 17th Century Amsterdam and shortlisted for the Costa First Novel Award. And many more novels sitting on my desk just to my left as I write… there are so many good novels that simply never get the accolades they deserve, so we are committed to doing our very small bit to help get them out there. What can we look forward to in the future from TripFiction? That’s a big question! TripFiction/Movies is something that keeps popping up, but for that we would need to find major funding; just think, though, of the range of films that wonderfully transport you to a given location! I guess our main aim for the foreseeable future is to have the community drive the site – we researched the first 5000 books, added individually all the books we could find that were strong on locale, and we need our followers now to flag and add new books as they come along that they think are strong on locale and worth shouting about. More author chats, location features and a bit more travel-oriented features. Watch this space! Thank you so much to Tina for answering my questions and joining me today, I look forward to more from TripFiction! Today on Getting To Know... 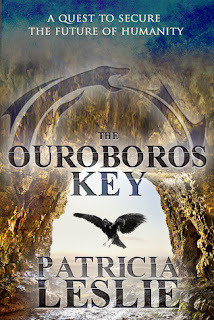 I am very happy to welcome the first Australian author to my blog, Patricia Leslie. 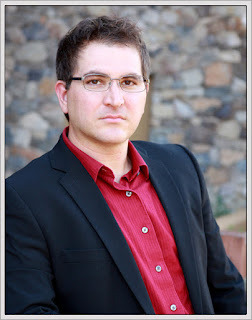 Your novels are urban fantasy, what is it that draws you to this genre? My interests are hidden history and myth as well as exploring, and I like working with characters that could be real people and put them in situations where they are confronted with hitherto unknown realities and unrealised potential. Part of the "real people" aspect is also using real locations. With my novel A Single Light, I used my home town and stomping grounds. With the story I'm working on at the moment, I'm using a particular area of Sydney. The majority of the locations in all my novels are real places that I have researched extensively and visited many times so that I can describe them as they are experienced by the characters (and by anyone who cares to go exploring in my wake). Or it could just be an extension of the fact that I really wish I had magic powers..
My routine is continually evolving. I try to keep marketing activities to Monday to Friday where I can work from my Ipad at a local café in the mornings or in front of the telly while I'm relaxing in the evenings. Research I will do as needed and writing is usually kept for the weekend, most often Saturday. The aim is to have everything else out of the way so I'm ready to jump feet first into storyland avoiding any interruptions and as many distractions to the creative flow as possible. It doesn't always work out that way. Research trips to explore locations nearly always occur on a Saturday as well. Roughly once a month, I'll put on my walking shoes, grab my camera and head off into the city to either check on specific sites, views, walkways or just to wander around and take photos of old buildings. Yes, though for most of my life I didn't think it would ever happen. First off, I needed to realise that I could write stories and once I'd actually started writing, that they would be good enough to think about publishing, then of course, finding a publisher. The whole process has been quite a lesson in self-belief and self-confidence and not giving in to the Mind Monkeys. Location is important to you, do you have a favourite location that you have used so far? In A Single Light, I used the area I grew up in. Using it as a location was like going home and revisiting my childhood, but that part of childhood that is just my own, my memories of wandering around the Royal National Park, catching the Bundeena ferry, and exploring the Cronulla sand dunes. My next novel, set in Sydney also uses some of my favourite places to wander and my favourite heritage buildings to visit like the Australian Museum and State Library. I love old buildings! You are a collector of books, do you know how many you own? And how are they organised? Hundreds of books is probably not far off the mark. The books that are stored in the proper manner on the shelves are grouped by general topic. I have a shelf for Celtic and Pagan history, another for women's and feminist non-fiction, one for Australian history and another for native American, one for quotes and writing etc etc. The messy piles can be categorised as either "to be read" or "just shove it anywhere". I also have a John Steinbeck shelf and a separate book case for really old books I find in antique shops. Stephen King, John Steinbeck, Ann Cleeves, and Camilla Lackberg just to name the four I thought of first. If you could give younger you any advice about your writing journey what would it be? I'm working on what I hope will be a 3-part series set in Sydney in the 1800s and the Isle of Skye (but mostly Sydney because it's much easier for me to explore on the weekends). I've based some of the characters on names from my family tree if not the personalities and used what I know about them to develop background and history. For instance, emigration to Australia from England in 1851/52, the barque they sailed on, where they originated from (Isle of Skye) etc. I've worked a lot on genealogy over the years, so I have all this information at my fingertips (and on my bookshelves). I visited Skye in 2015 and while I was there, naturally, checked up on some of my family history. I found the ruins of farmhouses, gravestones and even a couple of castles. Perfect fodder for storytelling! The main Australian components revolve around everyday life, mysteries and incidents that occurred in Sydney in the late 1800s. It was a boom time in Australian history so a lot was happening and not all of it is well known today. Throw magic, pagan rituals, ancient relics and time travel into the mix and I think I'll be touching on just about every one of my personal interests…. it's all about writing what you know after all. Thank you so much to Patricia for joining me today it's been wonderful! be Patricia Leslie hunting down heritage buildings and their stories. Finding sanctuary underground, an ancient relic comes into his possession and Dan begins to understand the path his visions have laid out before him. His quest will be fraught with an otherworldly people and an event that could tip the balance in favour of human existence—or disastrously against it. 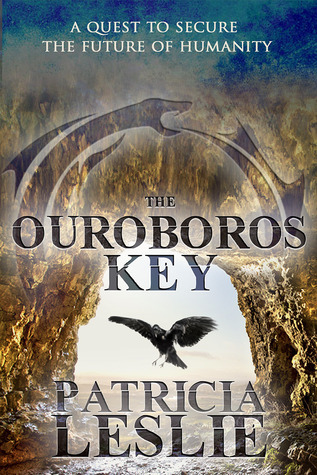 The mysterious Brotherhood will do everything in their power to prevent Dan from fulfilling his destiny as the Bearer of Ouroboros.